Posted March 28, 2019 by Josette Farrell in News. A perfect ‘stop-off’ on Mother’s Day …come to Claregalway Castle, have a coffee or light lunch and buy a plant to start the Spring. 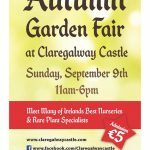 The Spring Garden, Craft and Food Fair is the first event of the year at Claregalway Castle. 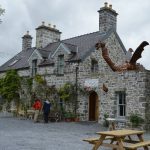 It will feature many of Ireland’s best nurseries and rare plant specialists and many well-known members of Irish Specialist Nurseries Association (ISNA). Come along and mee the specialists who can address your garden problems, and are willing to share their knowledge and wisdom. It is an opportunity to buy one or two extraordinary plants at modest cost – all produced in Ireland for Irish weather conditions. 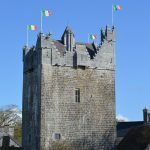 Claregalway Castle, Sunday, March 31st, 11am to 6pm. Admission €5, limited parking onsite. Dangan House Garden Centre is a family run business with over 30 years experience in growing and selling a huge range of garden products. 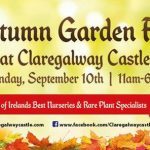 Dangan Nurseries experienced staff will be on hand a the Garden Fair to personally advise you about your garden this Spring. Leamore Nursery – specialising in Peonies and other perennials based just outside Ashford, Co. Wicklow. Future Forests – from West Cork with their great selection of native and unusual Trees, Conifers, Shrubs, fantastic selection of perennials and Paeonia roses and unique collection of top quality plants grown in their nursery. This award winning Garden Centre has 7 successive Gold Medals including 3 medals for ‘Best-in-Show at Bloom & Garden Show Ireland. Caherhurley Nursery – plants that are 100% home-grown !00% Irish. Certified organic. Grown outdoors on a windy mountain slope. Rare Plants Ireland – Range of rare and unusual trees, shrubs and perennials, Many of these specimens have been sourced during plant hunting expediitions in Korea, Taiwan, Japan, the Azores and Sikkim. Also in attendance will be botanic Artists Lynn Stringer and jane Stark, Harrington Exotics, Irish Water Plants, The Natural Growing Company, Slug Gone, The Organic Centre, Riverlane Nurseries, Gort Garden Centre, Just Roses, Pontoon Nursery, The Wild Irish Foragers & Preservers, Baurnafea Willow Work, The Flower Shed, Deep Route Gardening, Gareth’s Garden Furniture, Greenman Nurseries and many more. 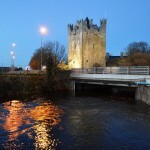 For more information on any of the above events see the facebook page or call the Castle on 091 799 666.